Showing results by author "Chris LeGrow"
Grab your walker, secure your catheter, and make sure there's double adhesive on your dentures! 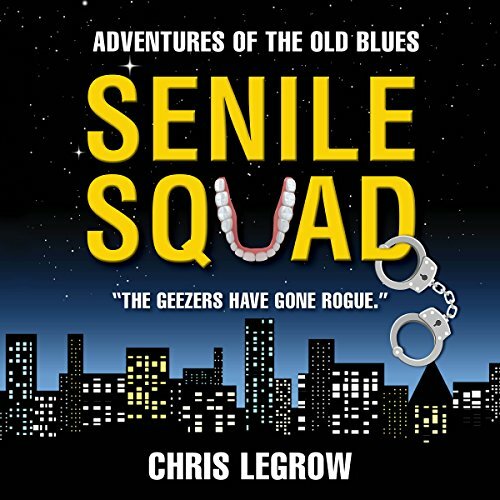 Then hang on for dear life, because you are about to ride along with the covert Senile Squad -- a bunch of elderly cops who refuse to stop catching crooks. Fighting street crime the old-fashioned way is their modus operandi. The Ol' Blues, led by their cigar-chewing Sarge, bring justice back to the streets of Omaha by taking down a brutal Sudanese kingpin who thinks he's a powerful gang lord. Entertaining from the word GO!